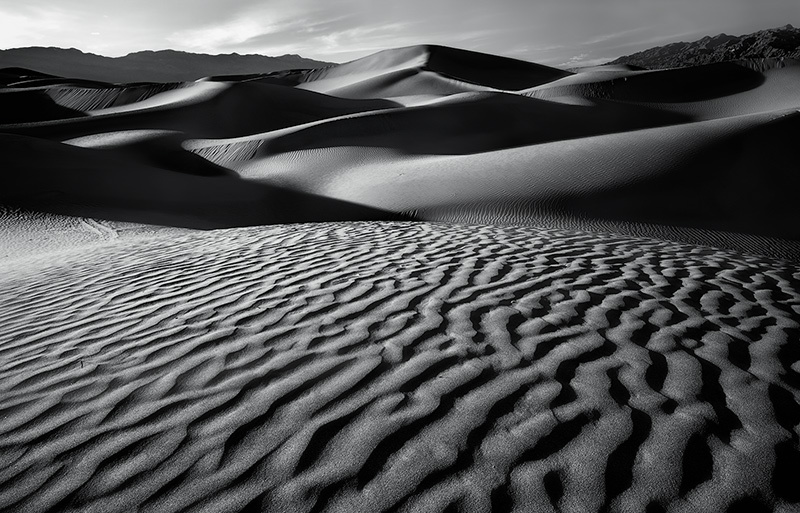 You are looking at a black and white interpretation of a hidden view deep within the boundaries of the Mesquite Flats sand dunes. The lines, textures, and shadow play is what makes this place so special. In some areas, the sand is so pristine one feels bad just walking on it. Photo © copyright by Michael Greene.